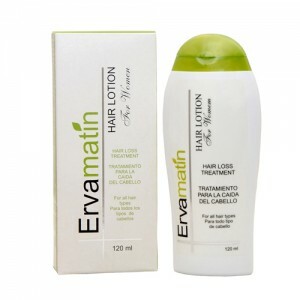 Ervamatin Hair Lotion is a specially developed formulation for hair loss in women. The natural extracts activate capillary circulation to enhance oxygenation of the hair root, to fortify the hair and reduce the loss. The rich natural formula helps to revitalize the hair with strength and volume, controlling the hair loss and it can be used on all types of hair. It acts directly on the scalp and along its length, leaving a natural look and a pleasant scent. 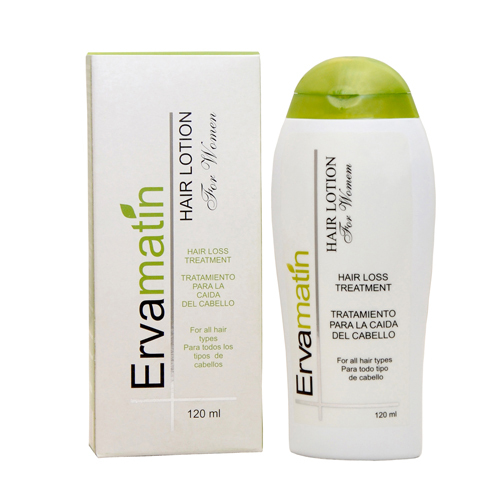 For better results, it is recommended to complement the treatment using Ervamatin Shampoo. Use daily, apply to the wet hair and massage the scalp. Do not rinse. Use it for 30 days non-stop.